Susan Hargrove (12/02/1965 - 05/04/2015) was one of my good friends towards the end of my time at the Girls' High School and thereafter she became one of my closest friends. We were at WGHS from 1976 until 1983. In the lower years at WGHS, I was in the L form and Susan was in the J form. I think the first time I came across Susan at school was when she was on crutches; she later told me that she had been dancing around in the bathroom at home, had twisted her knee and spent Christmas in plaster. 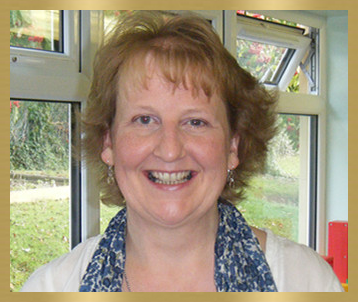 After school, Susan went to Didsbury College and obtained a First Class Honours Degree in Education. As a child, Susan had loved family holidays in Devon, so was delighted to be able to move there to live and work when she took a job at Mount Wise School in Devonport, Plymouth. Her final teaching post was with what she called her 'second family' at Goosewell School, where she thoroughly enjoyed her job teaching infants. Susan was there between 1992 and 2011, mainly in Key Stage 1, and held Special Needs, Literacy and senior leadership roles. Susan met her partner, Tony, when she moved into the local YWCA; she described Tony as the love of her life for over half of her life. Susan celebrated her 40th birthday with a big party in Wolverhampton. Just a year or so later, she was diagnosed with breast cancer and had to undergo painful operations, chemotherapy and radiotherapy. Susan retired due to ill health in 2011 but then took the opportunity to become a Governor at Goosewell School and was keenly interested in what went on there. In June 2014, Susan was told that her condition was inoperable and she died on 5 April 2015. At Susan's wish, there was a celebration of her life on 4 July 2015 at the school which she had loved, Goosewell. Sincere condolences go to Susan's partner, Tony, her parents, Brian and Jo, her brother, Ian and his partner, and Susan's nephews, Ben and Josh.